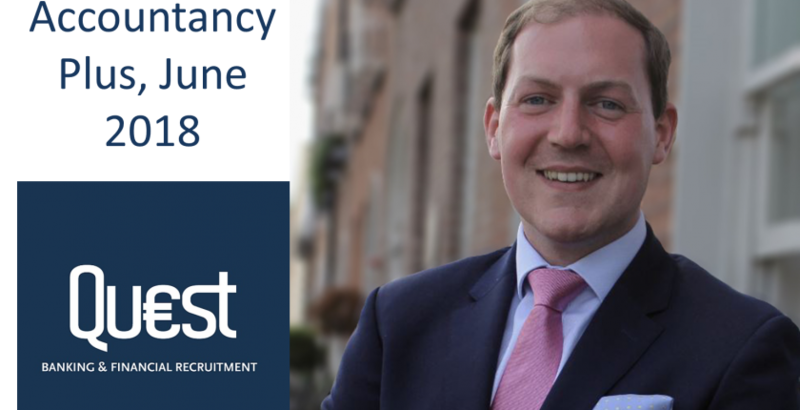 Martin McFadden, Manager of our Accounting and Finance department at Quest Recruitment, has authored a post for the June issue of Accountancy Plus. In this article, Martin encourages us all to reflect on our careers periodically and consider if we are progressing down a path that offers the types of opportunities that we want. He also discusses the questions that you must ask yourself when considering changing roles such as “What companies or sectors attract me? Who is hiring? Where are the emerging sectors/employment opportunities?”. To read more, please follow the link below.